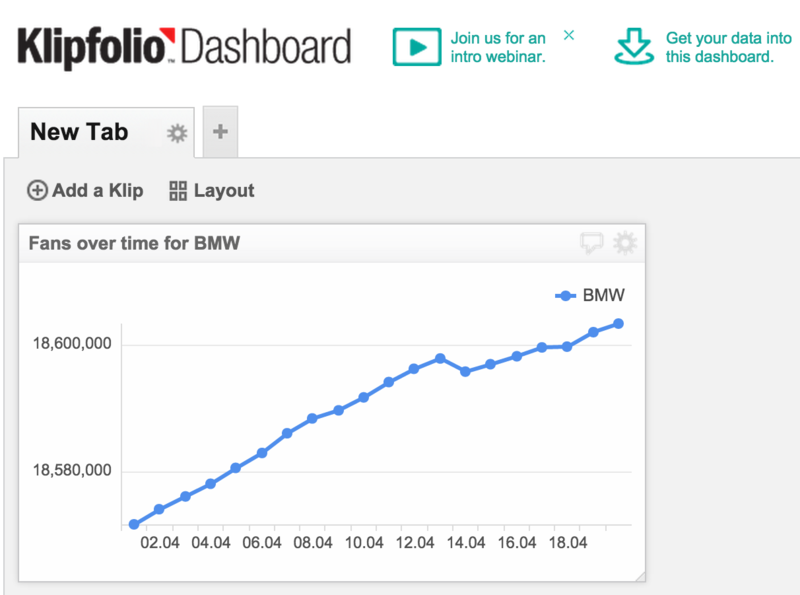 Cologne 1st June - Now it is possible to integrate quintly social media analytics data in the business intelligence tool Klipfolio. This gives marketers the possibility to identify dependencies between social media and conventionally used KPI’s. Many businesses are investing increasingly high financial resources in social media but many lack in measuring money spent. With this integration marketers are able to see website performance, leads and sales numbers and social media performance in one dashboard. Website KPI’s are related to social media activities but the integration lacks. Dashboards and reports across different disciplines are necessary for companies to pay enough attention to all online activities. This exemplary use case by quintly and Klipfolio, shows that valuable results are created through combining social media KPI’s with business intelligence data from other sources. Cause and effects are noticeable at a glance and strategies can be adjusted based on this. To allow clients of both tools to easily create holistic reports on performance, quintly created a very detailed how-to blogpost. After going through the guide, every marketer will be able to utilize the integration and the possibilities mentioned.